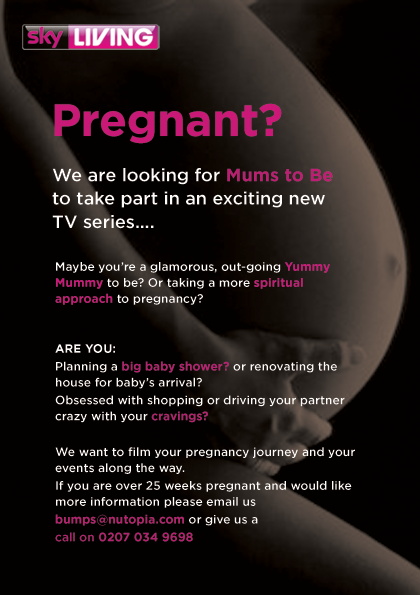 We are looking for Mums to Be to take part in an exciting new TV series…. Maybe you’re a glamorous, out-going Yummy Mummy to be? Or taking a more spiritual approach to pregnancy? Planning a big baby shower? or renovating the house for baby’s arrival? Obsessed with shopping or driving your partner crazy with your cravings? We want to film your pregnancy journey and your events along the way.